I so appreciate you stopping by and how I wish I could visit with you some more but today was my first day at a new job. I haven't worked for almost two years and let me tell you... I'm exhausted! Last week was tough burying my mother and estranged daughter not showing up for the prayer service or the funeral was a bit much so I'm still feeling a little raw from that. I think it kinda adds to the fatigue... know what I mean? So I bid you good night here and again... I so appreciate you stopping by to view my card and read my ramblings. Congrats on the new job. Take care of yourself. You've been through so much lately. Such a cute card, I love the image! AWESOME! This is one of my favorite images and you've showcased it perfectly! Love the buttons and lace ... so sweet! 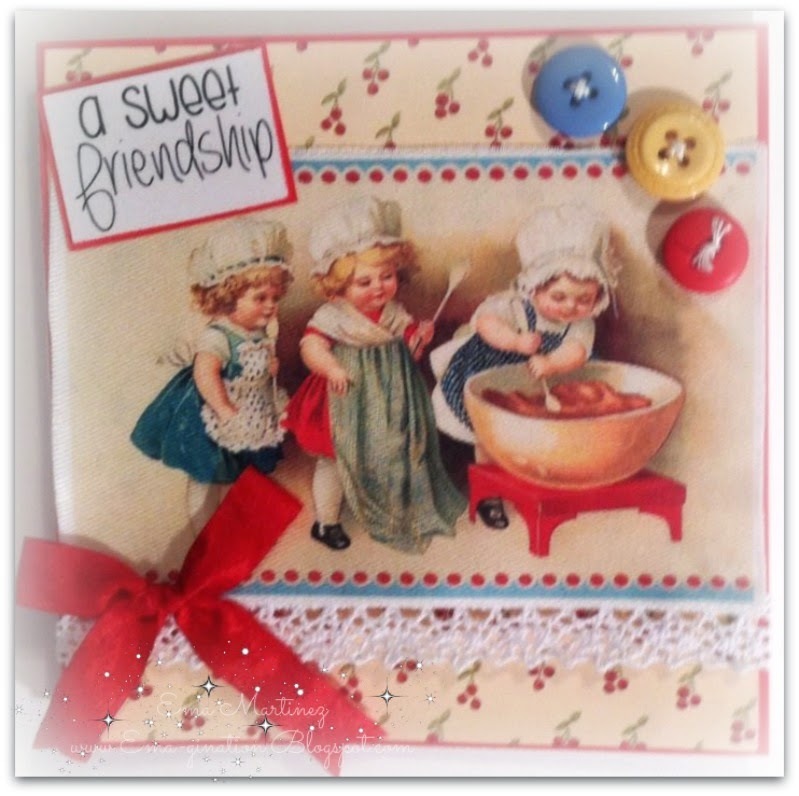 Thanks so much for playing along in our October Linky Party at Crafty Secrets! Good Luck!! Your card is super adorable Ema, I'm glad you pulled them out and made this cute card and joined our Linky Party! I also have good news - although our actual Cooking Cotton Scraps are sold out they are available now as a digital download with all of the images which you can re-size, crop and re-print over and over as many times as you like forever and they are only $1.95 and no shipping. Except if you don't ever do digital, then you won't care. Anyways, I adore your card, thanks for sharing! Very sweet and adorable...love the added lace, so fun!! 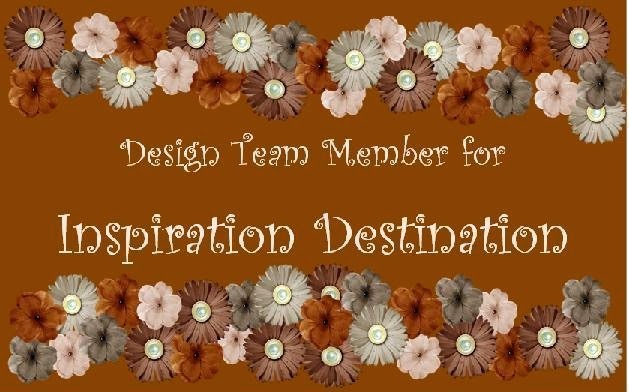 Thank you for joining our "Crafty Secrets October linky party"!! 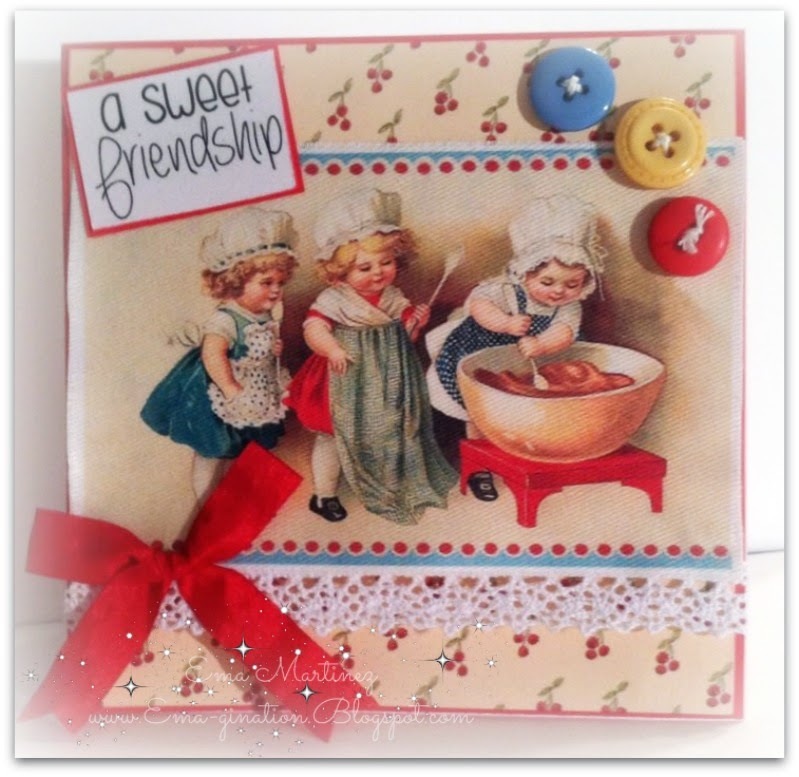 This is so adorable, a fab vintage card! Best wishes for your new job - you've been through stressful times, and starting a new job on top of it all isn't easy, but I pray that you will settle in soon and no longer feel so tired. This is a very sweet card. Love the vintage image. Thanks for the comment on my Thanks Mouse. To answer your question - those 'beads' are actually just gems and are not Robin's Nest dew drops. Ema, this is the CUTEST card ever! I've always loved this image, and seeing it on this card makes me smile for sure. Although the Cotton Scraps are discontinued, we have a wonderful digital download with this image so you can have it forever and use it over and over again. I love the buttons on your card! So sweet! Thanks for joining the fun at the Crafty Secrets October Linky party! 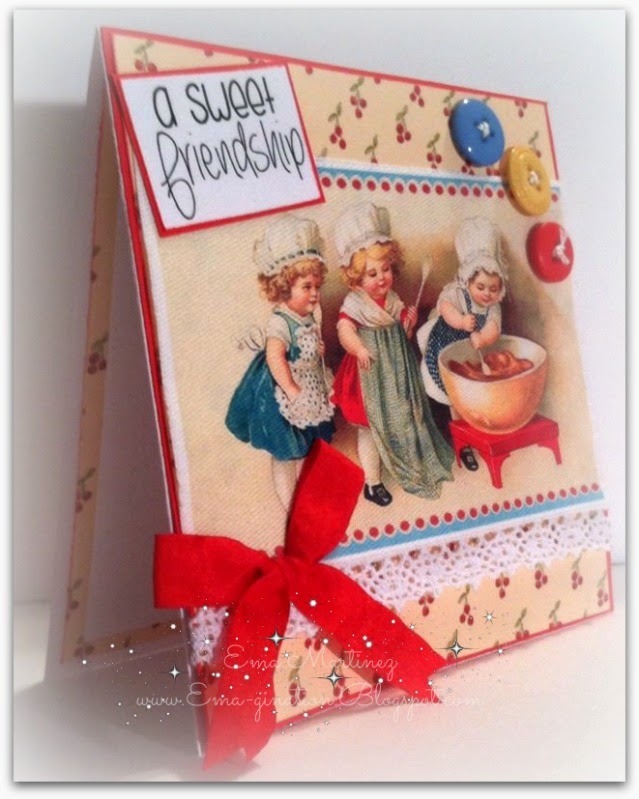 Thank you for entering this ADORABLE card in the October Linky Party at Crafty Secrets! Al the embellishments you chose complement the image so sweetly. Love it!